The next generation of BI will heavily integrate machine intelligence and AI – and how these technologies are embedded and used will matter. The best solutions will support human-centered analysis, which takes advantage of new technology while not losing sight of value of the human perspective in decision making and analysis. At Qlik, we are building AI and machine learning into our products in a way that amplifies the power of human intuition. Our approach surfaces unforeseen insights based on both the data selected and the initial search undertaken by the user. We call this augmented intelligence, and when applied through analytics it can raise the data literacy of the entire workforce, enabling deeper insights and bolder discoveries.This is vital for businesses, because the more people you have confidently making discoveries in your data, the more successful the company will be, as detailed in our recent Data Literacy Index. With augmented intelligence, users are presented with a smarter analytics experience — with access to automated insight suggestions, data exploration without limitations, and the ability to generate more relevant insights and suggestions - putting the power of data-driven insights in the hands of every user. 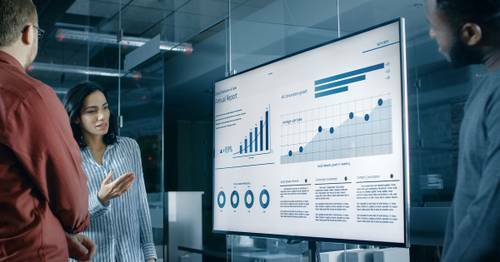 To further discuss these trends, we brought together experts from The Eckerson Group and Qlik to explore how the new wave of AI-assisted analytics supports users across any skill level in a recent ‘From BI to AI’ webinar.During the session attendees discovered the value of augmented intelligence first hand and were able to hear about ways to embed AI across their business processes. We wanted to share some of the key questions that were raised by attendees during the Q&A portion of the webinar. Q: I am looking to understand how AI can help in improving customer service and generate increased revenues. Can you give any guidance on this? A: Eventually, AI can be used to understand the behaviors and patterns in the data. By using this in collaboration with Qlik and the business knowledge you have, we can in due course identify the drivers of customer service (or importantly the things that need improvement). It’s the business change you undertake that will provide customer experience, and AI will be able to help you understand which things to change to best drive this efficiently. Q: I want to automate decision-making. In other words, automate the cognitive steps that an "expert user" performs to make a decision. Is that part of AI? Or is that something else? If so, what is that area called (e.g., rules processing)? A: Automation is certainly a part of this – to drive data literacy. 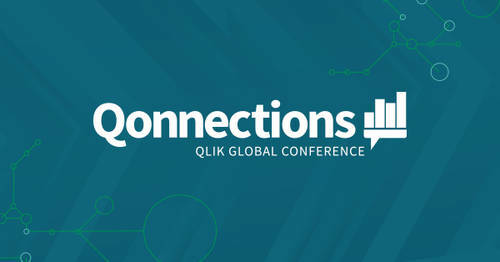 You will see how we will be implementing the self-service creation process and insight generation process in Qlik Sense using AI. 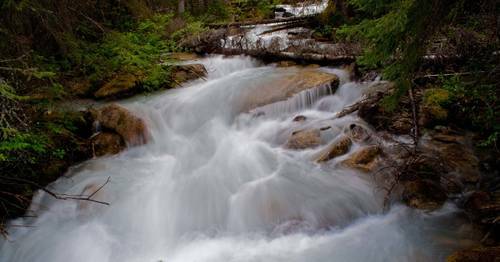 Q: How easy is it to get the data across many diverse systems - SAP, Oracle, Salesforce, webservices, etc?And can i get and do AI on real-time data? A: The power of the Qlik Associative Engine comes from the ability to combine datasets, we can connect to all of those listed and many more, bringing the insights from the combination of these data platforms. AI methods can be applied on this data on a near real time basis depending on how often the data is refreshed. Q: Where is the difference between Qlik Insight Advisor or let´s say chart suggestions being offered in MS Excel or Google Tables? A: Chart suggestions was introduced into Qlik Sense April 2018, this provides suggested charts when you add fields to a sheet, it will change as you add and remove additional fields. The insights advisor will analyze the data and suggest fully formed charts, including ones that use advanced statistical methods to inform the user of new insight. Chart suggestions provide a best proactive way to represent the answer to a question you already had, the insights advisor will present you with answers to questions you may not have known existed. Q: Is AI going to replace developers at all? A: The job of AI is not to replace developers, but to streamline the work they do and make self service easier for business users so they don't have to engage developers for adhoc questions. The developer can focus on data modeling and core app functionality with less adhoc work on behalf of the business. Q: Are these new tools available in QlikView and Qlik Sense? A: The cognitive / AI capabilities are being built in Qlik Sense.We encourage customers to consider adopting Qlik Sense alongside QlikView in a dual-use scenario, and have a new offer that allows this with minimal financial investment (30% uptick in maintenance). 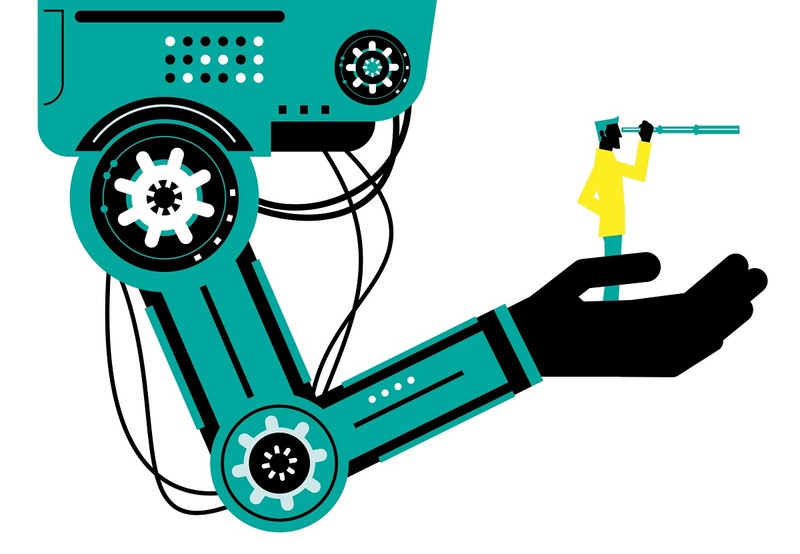 With Augmented Intelligence, human curiosity will be met with machine intelligence and unlock insights like never before. To access the live recording of our AI webinar series, click here.